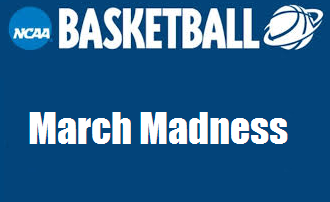 The NCAA Men’s Basketball Tournament has earned the nickname March Madness, with more nationally televised basketball than at any time of the year, as the top teams in the country battle on the road to the Final Four, this year in Minneapolis, MN. The “First Four” qualifying round will be played on March 19 & 20. The first round will be played March 21 & 22, and the second round will be played on March 23 & 24. The “Sweet Sixteen” compete on March 28 & 29, and the “Elite Eight” play on the 30th & 31st. The “Final Four” compete on Saturday, April 6, and the national championship will be played on Monday, April 8, 2019. 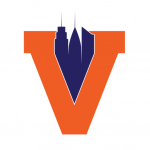 See our MurphGuide Directory of NYC Sports Bars for some suggested viewing spots. The Texas Tech Alumni Association New York Chapter are hosting watch parties at Mustang Harry’s. Auburn Alumni host their game watch parties at St. Pat’s Bar & Grill in midtown. Blondies: 212 W. 79th St. (between Broadway & Amsterdam), New York, NY (212) 362-4360. Gonzaga Bulldogs alumni are hosting a game watch party at Tonic East. RSVP via facebook. They will have tables reserved on the second floor. The NYC UK Alumni Club hosts their game watch parties at Jack Demsey’s in midtown. Jack Demsey’s: 36 W. 33rd St. (between Broadway & 5th Ave.) New York, NY. (212) 629-9899. The Duke Blue Devils alumni are holding game watch parties at Clinton Hall. LSU Alumni Association are hosting official alumni game watch parties at Legends. Legends: 6 W. 33rd St. (between 5th Ave. & Broadway) New York, NY. (212) 967-7792. The Manhattan Hokies are hosting a game watch party at Dewey’s Pub. The University of Tennessee alumni of New York watch games at Printer’s Alley, a new Nashville-themed bar located near Times Square. The U of M Club of NY are hosting game watch parties at Professor Thom’s in the East Village, and The Irish American Pub in lower Manhattan. The New York Ducks are hosting game watch events at The Central Bar.